March | 2012 | Ding! Do you still have potential? Can one person really be of more worth than another? And if that person is a teenager, do they have more worth than someone who is 29? Is a seven year old more deserving of our support and love than a teenager, or an unborn something, or a 50 year old man? The moral reaction is that all have the same worth and value, that is what the law states, that is what all religions state, but it’s not quite how society behaves. When a baby is born, the universal emotion is one of joy. When one dies, it is with great sadness, but not always quite as great as when a child, who has lived for a short number of years, dies. Perhaps it’s because their personality is more tangible than a baby. Usually only the immediate family mourn a baby who dies in childbirth. A teenagers death is tragic, but once we move into being adults, the tragedy of our untimely deaths grows less and less important to other with our age. Why? Is it to do with potential? Perhaps there’s perceived greater unfulfilled potential in a child, which by the time that child has become an adult has either become manifest, or not, revealing an adult who has achieved, or has not. Is it therefore to do with what value an individual human contributes, or could potentially contribute? People certainly mourn famous celebrities as much as members of their own immediate family. Is it connection that deserves our attention? We feel connected to actors, musicians and royalty so we mourn their passing? If a child dies of an illness or incident at home, no-one apart from the immediate family and friends cares. If one dies on the road, strangers may leave flowers. If one dies as a result of murder, thousands may take to the streets in mourning. If the victim of the murder was a 40 year old man, no-one would bother taking to the streets. The end result is the same in each case: we’ve lost a human life too early. But why the difference in reaction? A celebrity expert, let’s say a famous author, is often quite willing to lend their expertise to support and help a young writer under 16. They would not be so willing to help a 50 year old. Is it that the 50 year old should have figured it all out themselves by that age. They clearly should simply have tried harder in their life and having blown all the chances and opportunities that must have come their way, don’t deserve any help… No-one would argue that children deserve help more than an adult. But why? The 50 year old clearly has more experience, of something, as they have had a longer life than the teenager, but do they have less potential, less to contribute? Or more? Potential to do what exactly? In most societies, throughout history, age meant wisdom. Today though it seems less so. There have been many examples in the media where a greater age has been perceived to be a disadvantage and some have observed that television presenters appear to be biased towards more youthful ones. Do we value youth (and beauty) more than age and experience? In some disciplines, the optimum level of youth does have a clear advantage. There is an average peak age where a sportsperson can perform at the highest level. It is said that mathematicians perform at their optimum between the age of 19 and 26 when our brains are said to be at their peak before cells start to die off. But recent research has shown that brain cells may well die off, but new ones do grow. And it is the connections between the cells in the brain that are more relevant than the actual number of cells. Because of a number of high profile successes in various creative endeavors by quite young people, the focus of the media is that creativity peaks when we are in our mid to late 20s. The Beatles are the perfect manifestation of this rule. By the time they’d competed their final recordings together (on Abbey Road in 1969), George Harrison was still just 26. Ringo was the oldest at 29 (John Lennon was 28 and Paul McCartney had just turned 27). Just a few years earlier, the four Beatles who wrote, played and sang on their first number one record were aged just 20, 21, 23 and 23. Their manager, Brian Epstein was only 27 and George Martin, their recording producer, 37. In almost every creative avenue in the 1960s it seemed that youth had the creative power and it’s something we seem to have stuck with ever since. But is that actually true, or are the results somewhat skewed? Can people still be creative in their 30s, their 40s, their 50s and beyond? That may well be true, but it’s not the point. Or rather it is part of the point because I may well write off part of my creativity in the same way that you have, by thinking that we must have been no good at a certain thing or it would certainly have led somewhere by now, or we’ve missed the opportunity, and that we’re just past it. If we ignore the negative impact of the media we’ll notice that many successful painters and authors only began their craft close to ‘retirement’ age. We ALL have potential and we always will have that potential right up until our very last productive day on this Earth, irrespective of our age. I met him in 1992 and he signed my copy of his new novel, Mostly Harmless. An abridged version of his unfinished Doctor Who story Shada has just come out on video that week and I asked him about it. He said he “didn’t think it was any good” and had decided to donate all profits from it to charity. I told him I’d enjoyed it and he seemed genuinely surprised. Last weekend would have been his 60th birthday. He died way too early, in 2001. For me, Douglas Adams is just about as cool as you can get. Writer, environmentalist, part time Python, Mac Master, Beatles and Pink Floyd fan and philosophical observational genius. We all know that he wrote the multimedia storyscape that is The Hitch Hikers Guide to the Galaxy. But there are other things, subtle little things that make him a hero for me. It was said he was the first person in Europe to have an Apple Mac (Stephen Fry being the second). He was script editor of Doctor Who from 1978 to 1979 during Tom Baker’s craziest period (the two of them hit it off so well they encouraged the most ludicrous behavior in each other). He wrote three Doctor Who stories, including one of the best ever, ever, ever, ‘City of Death’, set in Paris, about an alien who steals the Mona Lisa and gets Leonardo to knock up a few copies in the past so he can sell them to private buyers in the present to fund his experiments. Genius! His fingerprints are all over the other stories of that era of the programme. Since Adam’s untimely death in 2001, Shada has been made into a cartoon and a novel out this month. Adams himself re-tooled the story into Dirk Gently’s Holistic Detective Agency. Hitch Hikers too was a spin off from Doctor Who, especially the third installment, originally titled Doctor Who and the Krikkit Men which proved too expensive and over the top for Doctor Who so became Life the Universe and Everything with Slartibartfast taking the role of the Doctor. How did you first come across Hitch Hikers? For me I was a little too young to hear the original radio series on first broadcast so it was a couple of years later when I read the novel. Then the radio was repeated just in time for the television series. A friend had the LP too so we could listen to an abridged version over and over again. There was something about it that just spoke to us. It was as if he’d written it knowing the questions we would ask had we thought of them. He knew what we’d find funny even though we’d never heard anything like it before. It was the unexpected twist in language such as saying a drink was like, “being hit over the head by a slice of lemon, wrapped round a large gold brick”. Adams found the inspiration for his stories all around in everyday things. When working as a security guard he noticed that the lifts would start operating on their own, going up and down. It made him think that they had some form of intelligence and were getting bored just sat there waiting for passengers. What if they had the foresight to be able to anticipate that someone needed the lift and be there ready before the person realised it? The underlying theme in his work as I see it, especially Hitch Hikers is that everyone is insane. Everyone is out of order, with their own chaotic agendas, their own insecurities and their own erroneous beliefs that they follow. Arthur Dent represents us, everyman, an ordinary person swept up in something bigger and stranger than he can imagine and yet he’s fundamentally a part of the weirdness. There’s something compelling about this proposal because deep down we know it to be true. That the intergalactic review for planet Earth in the Hitch Hiker encyclopedic guide reads just ‘harmless’ (“Well, they had to edit it down a bit” says Ford Prefect, the journalist who sent in his report of Earth after 20 years of study). Then the Earth is destroyed to make was for a hyperspacial bypass. It’s shocking. All that we have known. All the animals and plants, all the culture, the achievements, the struggles, all wiped out in seconds for no real reason. It’s funny because we know it’s a metaphor for something else, something very real and pernicious. What Adams achieved with Hitch Hikers is the highest form of art: it entertains and informs and yet points to a greater, hidden reality. There’s a message put across in the strongest way possible and yet it’s never preaching or patronising. There’s a freedom that comes from having a Hitch Hiker attitude. You’ll have seen it before (and since) in a few similar comedy worlds such The Goons, Monty Python’s Flying Circus and Vic Reeves Big Night Out. In their worlds, ordinary things become intensely interesting. And funny. Even with all the pessimism and hopelessness there’s an optimism that shines through from being flippant in the face of seriousness, boredom or totalitarian authority. To me, this is Douglas Adams’ legacy. Things aren’t always easy. They don’t always go to plan. No matter what we think, or how important we think we are, there’s always a bigger picture that doesn’t have us in it. And yet, amongst all the chaos, uncertainty, the salmon of doubt and irrelevance there’s always something, however tiny, that’s funny, beautiful, hopeful and our job, or rather the key to our happiness and fulfillment, is to find and focus on that. I visited a particular school to give a talk on creativity to the teachers. An English teacher remarked afterwards that she ‘had tried creative writing’, but had given up on it and returned to what she was ‘doing before’. I didn’t have the opportunity to explore with her this odd statement. I don’t have the data to know if such seemingly bizarre views are widespread or not. What did she think ‘creative writing’ was? Perhaps she thought it was something outside English teaching. Is it possible that some educators focus on the mechanics of a subject, in this case how to read and write, rules of grammar, use of verbs, adverbs, adjectives, pronouns and nouns and sentence comprehension without the context of a use for the mechanics? I’ve seen it in my education, in the sciences, where formulae were taught in isolation from the experiments that founded them and the people in history who thought up those experiments in the first place. It was as if science education had to strip away the ‘unclean’ of the human stories of discovery to leave the holy perfection of mathematical proofs, physical laws and formula. I found this boring throughout mathematics, physics, chemistry and even biology. The missing ingredient in each case was human creativity. The importance of it had been stripped out, the story of it had been stripped out and the value of it had been shunned and ridiculed: if you studied science you were not creative. Creativity was something nampy pamby artists did. Is ‘creativity’ in the national curriculum? You could argue for and against. It certainly isn’t an easy question to answer because creativity has become such a difficult thing to define. It’s not a subject. It can’t easily be tested and measured. It’s come to be something that must float around the curriculum like a feeling, something that should be encouraged, but with few guidelines as to how. But it shouldn’t be pandered to because it doesn’t get grades. I get the feeling it’s been sidelined when it should be the focus. Subjects should be: Creativity Physics, Creative Chemistry, Creativity and Biology and…. Creative Reading and Writing. We shouldn’t even have English lessons except for those that can’t speak English and those that explore English Literature specifically. We need to teach the mechanics, yes: how to hold a pen, how to read, how words work just as in science we need to show how to hold a test tube, how to light a bunsen burner and how to use mathematics as a tool. But we should not confuse use of a tool with understanding. All tool training does is produce technicians. It’s great that you know how to hold a test tube but it doesn’t make you a scientist, and without being a scientist, which is the marriage of experiment and imagination, you are just above useless. So, you know how to spell? You can answer questions on grammar? You can repeat someone else’s literary criticism of a text? You’re a technician. You can fix my text as a garage mechanic can fix my car. The garage mechanic can’t design a car. They can’t improve a car. They can’t build one from scratch. They can only ever work on someone else’s. This is why we need Creative Writing. So that our children don’t only work on other people’s texts, they create and build their own. They don’t read a text looking for the prescribed analysis, the expected reaction in the test tube in the lab – they are out there in the field, experimenting with new texts, questioning old texts and long held beliefs if only for the reason that they can. We need to teach our children to be out there adding to the pantheon of human creation and endeavor, not dissecting dead men’s words on a slab. And that’s why Creative Writing is important. It’s a different sun. It’s more golden. Like in the old films. I feel the warmth of it on my skin. It’s my brother’s birthday. He’s four. It’s March the 3rd and it’s already high summer. We’re playing out in shorts and shirts with no jumpers on the hot tarmac in Meldon Avenue. This asphalt is less than a year old, still inky black and soft like rubber. Something tells me that this is going to be the hottest summer on record. The ladybirds aren’t here yet, but they will come, in their millions.Gillian’s baby sister can’t say ‘chicken’. She says, ‘ticken’. Still the sun shines. I go off for a walk, past the tarmaced Play Area One, as we call it, along the fence of the cornfield. It’s made from the wire that the fences that surround tennis courts are made from. They’re the ones that, if you hit the ball at it hard enough it gets stuck in the gaps, although I’ve never hit a tennis ball. Not yet. The fence isn’t that high, but is too high to climb. We’ll get in through a hole someone will cut later on, at the other end of the summer, and create a labyrinth with secret corridors and rooms within the corn. But there’s no corn yet, just the dry brown ploughed earth stretching into infinity. I see something black and shiny, glinting in the sun, caught between the grass and the fence. It’s a 7” flexi disc, a record. I pick it up. There’s dried mud on it, clogging up the microgrooves that encircle one side. There’s some writing, but I can’t read it because I can’t yet read. Memory is like a darkened room with all sorts of objects, known and unknown, littered about in it. No-one knows what is in that room until we shine the torch of the conscious mind into a corner, picking out a few odd details of the room. But we are unable to focus on more than one thing at a time. Whatever the torch is shining upon may well be brightly lit and visible, but the rest of the room will remain in darkness and although still there, cannot be seen and we cannot guess at what may or may not be hidden. The present day conscious mind is like the tip of the iceberg that feels it is all that exists, unaware that it is but a tiny part of the powerhouse that is the unconscious, the storehouse, the deep engines, the foundations of the years. It is not the gentle wind that gives the iceberg direction, but the invisible currents that exert those powerful forces deep underneath the surface. What is memory? What causes some events to be recorded and others not? Why are some clear, crisp and accurate like the microgrooves of a record and yet other tracks, covered in mud, may not re-play. I race home with my new treasure and with the help of mummy wash it. The furniture in the lounge has been re-arranged, presumably for my brother’s party so the record player has been moved. Daddy lifts the lid. There’s a smell of 1960s electronics. He flicks the switch to the 45 r.p.m. setting and slots the flimsy disk onto the spindle and pushes it down onto the rubber platter. The cream coloured metal arm that contains the needle swings across automatically and, robot-like, lowers itself onto the rotating disk. The room is filled with the sounds of a song, Don’t Leave Me This Way. Amazed by the startling success of my brief adventure I set off again, this time with my brother, to look for new treasure. We head to near the same spot, just a bit further on. Yes! There, a few feet into the field, flapping in a dry furrow is another disc. My brother sees it too and quickly and gingerly is up and over the fence, retrieves it and hands it to me. We return home and after the same preparatory ritual is followed, the sound of You Keep Me Hanging On, by the Supremes, fills the air. Then my memory comes to an end and I’m back in 2012. My brother is 40 today. Outside large flakes of snow fill the sky but at 2 degrees it’s not quite cold enough for them to lay. It was just a day. Just a particular day and yet I remember it all as if it had just happened. Perhaps our memories are all there, all stored somewhere. Perhaps it’s not that we forget, rather it’s that we forget where we’ve put them until some trigger, some key, unlocks the doorway to them. I have no recollection of the rest of that day. No knowledge of an actual 4th birthday party, or even if there was one, although I feel sure there was. I have access to no recording of the following day, 4th March 1976 and nothing for the day before either. If we are our memories and we lose access to them, who are we then? Caught by the paradox that we won’t know what’s gone, we don’t remember what we can no longer remember. Not being able to remember is like losing part of who you are. Without remembering, you become less, you begin a journey to being nobody. Perhaps my mind isn’t a carefully catalogued library of books after all, but instead is a collection of broken pottery. The occasional piece is cracked but complete, but most of the collection is broken fragments and clay shards. Perhaps the ‘being’ that I call ‘me’ can only be a museum curator of these memory artefacts, an archeologist of my own timeline, every day re-defining who I could be based on the scant remaining evidence. I typed my password into iTunes. Don’t Leave Me This Way by Harold Melvin and the Blue Notes downloaded in 17 seconds and began to play. I always turned the premise into Science Fiction. And I was criticised and marked down for doing so. I was driven by a ‘search for interesting’ (to me, a definition of creativity) and a desire to twist the mundane by a turn of the screw to see the ordinary afresh, from a different perspective, to explore the unexpected and to find rationale in the unexplained. But my teachers didn’t agree. They felt it was childish and unsophisticated. I think this is a shame. More than a shame. A crisis. To an outsider, Science Fiction as a genre is still misunderstood and the tendency with poor writing (in some books, some television and films) to rely on clichéd concepts such as unimaginative spaceships, mad robots and generic aliens makes many people overlook the main purpose of Science Fiction (also referred to as SF by purists, but never Sci-Fi). This bias and misunderstanding has in the past alienated many, especially young girls from the genre. It’s interesting to note that the new production of Doctor Who set out with re-dressing this balance and have achieved it with the ratio of girls and boys watching the programme almost equal. Science Fiction has the unique capabilities to allow a child to explore themselves and their world in non-literal ways. Science Fiction’s alternative title is ‘Speculative Fiction’. It is stories that are driven by a ‘what if?’ question. The answer to this question is answered by the story using real-world science to extrapolate it and to drive the characters and the plot. Science Fiction keeps most things constant and has one or a few variables that can then be explored. This is the essential difference between Science Fiction and Fantasy, although the lines are often blurred. Harry Potter is not Science Fiction. It too has unrealistic devices, and they are consistent within the world of the story, but these are not explained in any other way other than ‘magic’ and cannot be extrapolated from our understanding of real-world technology. This makes Harry Potter Fantasy. When it comes to examining the film series Star Wars as a genre, people tend to make an interesting mistake. They often think it is ‘futuristic’ because it features robots and spaceships and yet the opening phrase that begins the film is ‘a long time ago, in a galaxy far, far away’. This is the same as the well know start to many a story, ‘once upon a time’ and frames Star Wars, like Cinderella, as a fairy tale and not Science Fiction. No serious attempt is made in Star Wars to rationalise space travel, how light sabres work, how the robots appear to be conscious and what The Force is. Star Wars is fantasy disguised as Science Fiction. Doctor Who is yet more complicated. The premise is Science Fiction: ‘an alien who looks like a man, travels through time and space in a time machine made by a lost civilisation that resembles a 1960s Police Box that is bigger on the inside.’ But unlike other franchises, Doctor Who changes genre from story to story, some stories are straight Science Fiction, some are fantasy, some thriller or historical drama, comedy, tragedy and even romance. Doctor Who is better described as ‘Science Fantasy’. When teaching children storytelling, I believe it is important for them to realise which overall genre their story is fitting into if it is to include what appear to be Science Fiction elements: are they creating a whole new world with its own rules and physical laws where literally anything can happen? Is so, that’s fantasy (the most solid example in Literature may well be Tolkien’s The Lord of the Rings). Or are they keeping most of the rules of the known world and for dramatic effect or as a speculative story driver, choosing to twist, re-invent or magnify one or more real-world rules. If so, they are writing Science Fiction. This is why Science Fiction is so enthralling, so exciting to read and to write, and so useful to us as a civilisation. It allows us to look at an aspect of ourselves from a different perspective. The stories explored in Star Trek are not really about space travel, aliens and the future, they are all about fragments of ourselves, now. In one story, Captain Kirk and his crew are bemused by a race of people who have one side of their faces black and the other white and yet are fighting each other. When asked why, a man retorts, “Isn’t it obvious! He has the white side on the left and black on the right and we have it the other way round!”. (Let That Be Your Last Battlefield). This Science Fiction allows the story to explore racism. Children’s relationship to Science Fiction is usually based on the magical attraction of the fantastical otherness of outer space, aliens and the excitement of adventure. But it can also be the appeal of a relationship with a creature such as a robot or alien with whom the child can connect in their own way on their own terms without the trappings of their own weaknesses. This is why Star Wars worked in the first place: children identified with the cute robots in a way that adults couldn’t and would not. (There’s more on this here). This is why children, especially boys, still love steam engines, cars and other machines which they can easily bestow consciousness into. It also connects to the most primordial of children’s secret fantasies: the imaginary friend. The mobile dustbin-like robot, R2D2, in Star Wars is really a modern variation of the teddy bear. When children desire to use Science Fiction techniques and motifs they may already be using their writing to explore themselves and their world, without any need for guidance and literally knowledge. On the surface they may conjure up spaceships and monsters but don’t let these fool us. They may already be using these devices in the same way as the greatest Science Fiction authors, H.G Wells, Issac Asimov, Arthur C. Clarke, John Wyndham or Ray Bradbury, did, as cloaked methods of exploring and explaining their own inner worlds in a way that straightforward ‘literal’ fiction cannot. 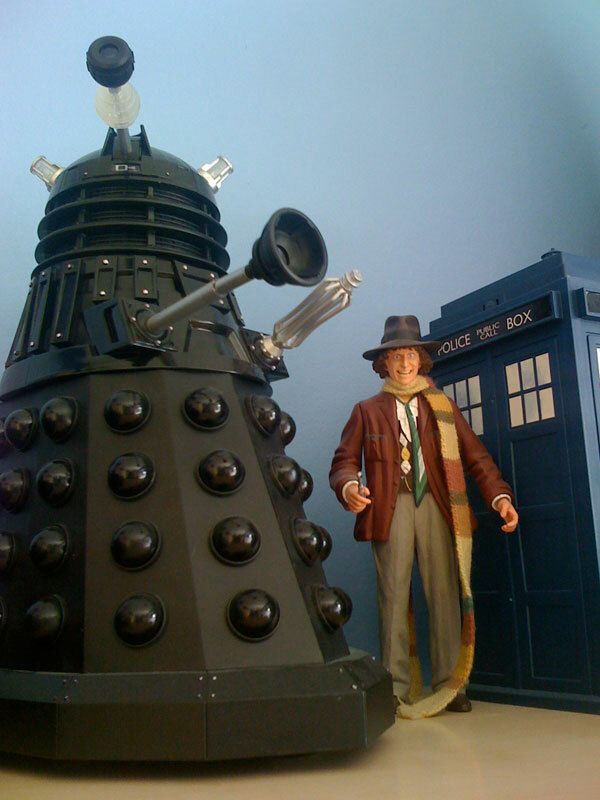 By aydinstone  Posted in Creativity, Schools & Education, Writing & Publishing	 Tagged children's writing, dalek, doctor who, fantasy, harry potter, literature, science fiction, star trek, star wars, what if? We take it for granted that our creativity, as a species, is a permanent feature. What if, as a people we stop asking questions and punish those who question? What if we stop teaching our children to learn and start programming them to regurgitate results we want to see? What if we silence mavericks, deny prophets and ignore visionaries? What if we stop looking up at the stars in the night sky and wonder? What if we tear down the old gods and set up dangerous controlling aspects of ourselves in their stead? What if we set our sights on comfort today without thought for our children’s children tomorrow? What if we lose the compulsion for adventure, exploration and risk taking? What if we begin thinking about what we can get for ourselves as greedy individuals and not what we can give to help our community? If we do these things, we will still survive as a species. But the creatures that will remain will not be one our ancestors from the past million years will recognise as human. It will not be one that would deserve to be part of the extraordinary story of Homo Sapiens. All that would be left would be an animal. An animal that may well survive in clement weather until crisis of resources or environment will sweep it into the fossil record for some far-flung future Sapiens to discover. I’ve been watching the acclaimed BBC documentary, J. Bronowski’s The Ascent of Man. The accolade of it being ‘the greatest documentary ever made’ is well placed. After just the first two minutes, Bronowski’s passion, energy, vocabulary and burning intelligence comes across as magnetic. Add in the fantastic photography from all over the world and get PInk Floyd to provide the soundtrack. It’s the definition of success. Every ‘knowledge expert’ today should look to Bronowski for inspiration on how to do it. Evolution shapes animals to their environment. Mankind’s evolution stopped and instead we shaped the environment to suit us. A person today is physically exactly the same now as the people living over a million years ago. And yet evolution (and often science in general) is so misunderstood that I’ve heard people believe that ‘we have evolved a lot since the Romans’. I met an anthropology student who actually believed that black people have black bones. Many things improve and grow with time and so too does ignorance it seems. The first programme dealt with a great question: What separates us from the other animals? The answer is the depth of our imagination, to be able to mentally simulate future and past events and the application of our creativity. It’s our creativity that enabled us to leave the Savannah of East Africa and to migrate north and east into Europe and China and then beyond. It was our creativity that allowed us to co-operate to build a community to hunt animals that were faster than us. It was our creativity that allowed us to adapt to the cold of the ice ages, to invent fire, clothes and tools. It was our creativity that allowed us to predict animal migration and then domesticate and farm them and cultivate plants. It’s our creativity that enabled cities and civilisations to be built that passed on our discoveries to the next generation and the next down through the millennia. It’s our creativity that creates communities and the concept of love and care. We can’t rest on our laurels, on the glories of our ancestors. We have to make sure our species still thinks with an open mind and strives for innovation at every turn. It’s no good having an opposable thumb if you can’t think of anything to do with it. J. Bronowski sadly died just over a year after the documentary was broadcast, in 1974, after a life of exploration of art and science (which he considered as aspects of the same thing). He published literature, made discoveries in mathematics and archeology, he invented a type of smokeless fuel for the National Coal Board and of course his documentaries which are effectively an autobiography of humanity. His contribution to the continuing Ascent of Man is secure. What about ours? Today, the differences between astronomy and astrology are easily defined. To the ancient astronomer/astrologer, Saturn influenced human characteristics, notably those of mistrust, the bringer of death and the fall of kings. We now know that the planet Saturn is a giant globe of hydrogen and helium gas. His name was Johannes Kepler. It was the lonely work of one man who brought astronomy out of this mysterium dark age and forged the way for modern science upon which our current civilisation depends. 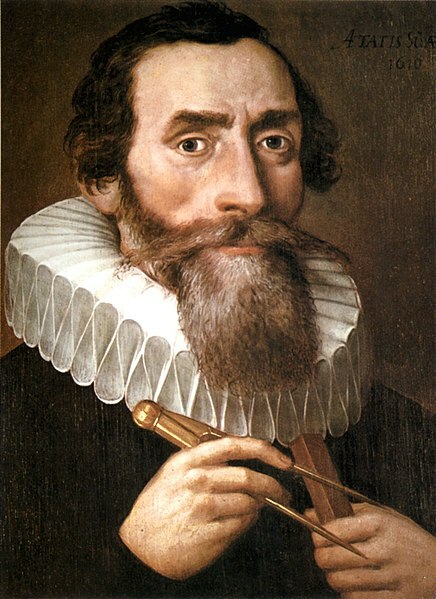 Johannes Kepler was born in Germany in 1571. He lived in a time of great oppression of the human spirit when the heavens where inhabited by angels and demons and the Sun and the planets moved round the Earth in crystal spheres rotated by the Hand of God. It was a time of religious dogmatism where science inhabited a pale shadow of half-truths and falsehoods where the inaccuracies of the ancients were considered holy and more reliable than current findings made with technology unavailable to the people of a millennium or two previous. Kepler spent his childhood in the protestant seminary school in Maulbronn to be educated for the clergy. The young Kepler’s independence quickly isolated him from the other boys. He was intelligent and he knew it but his thoughts often drifted to his imagined unworthiness in the eyes of God and he despaired of ever obtaining salvation. But God meant more to Kepler than simply punishment; he was the creative power of the universe and Kepler’s curiosity became greater than his fear. He wanted to know the mind of God. When Kepler left Maulbronn in 1589 for university, his genius was at last recognised and leaving the clergy behind he moved to Graz in Austria to teach mathematics. Although a brilliant thinker and writer he was a disaster as a teacher. He mumbled, he digressed and at times was completely incomprehensible. One summer’s afternoon as his students waited restlessly for the end of the day he made a discovery that would change the course of the rest of his life and the future of astronomy. thoughts went back to the five regular solids of Pythagoras of which each solid had regular polygons as faces. There were five and there could only be five from a simple mathematical proof. Kepler thought planets and the solids had to be connected. He felt he had found the invisible supports for the spheres of the planets. But no matter how hard he tried he could not make the solids and the orbits agree. He couldn’t make it work and yet he couldn’t abandon it. Finally he thought that the experimental data he had must be in error. There was only one man who had access to more reliable data and that was Tyco Brahe, a Danish nobleman who had accepted the post of Imperial Mathematician in the court of the Roman Emperor. Tyco had written to Kepler, inviting him to join him in his work. He knew that he was an experimentalist and needed a theoretician like Kepler to work with him. Graz was feeling the first tremors of the Thirty Years War. The local Catholic Archduke had vowed to make ‘a desert of the country than rule over heretics’. Anyone not professing the Roman Catholic faith were fined and exiled on pain of death. Kepler chose exile and began the long journey with his wife and daughter to join Tyco. Tyco Brahe was a flamboyant figure with a gold nose replacing the original which had been lost in a student duel over who was the superior mathematician. Tyco was extremely rich and indulged himself and his entourage of assistants, distant relatives and assorted hangers on, in endless banquets. Tyco needed Kepler, but he was not going to hand over thirty years of painstaking observational data, made with the naked eye, to a potential rival. Kepler detested the constant revelry and longed to work with Tyco as a partner. They frequently quarreled and it was not until Tyco’s death bed, from his overindulgence in food and wine, that he finally handed over his work to Kepler. ‘Let me not seem to have lived in vain’ he said, and he didn’t. Kepler and Tyco’s collaboration show us that science is that pure combination of dedicated observation and imaginative theory. So Kepler took Tyco’s data and attempted to resolve the orbit of Mars, which Tyco had said was the most difficult. He fitted a circular orbit of Mars around the sun which agreed with ten of Tyco’s observations within eight minutes of arc. A minute is a very small unit to measure, especially without a telescope. Kepler could not ignore this error and had to abandon the circular orbit. He played with a variety of ovals and spirals until he was let with what he called, ‘a single cart-full of dung’. Kepler was the first since Antiquity to suggest that the planets were actual places, like the Earth, made from the imperfect stuff of rocks, liquids and gasses. If the planets themselves were not ‘heavenly lights’, perfect divine beings, perhaps their movements were not perfect too. 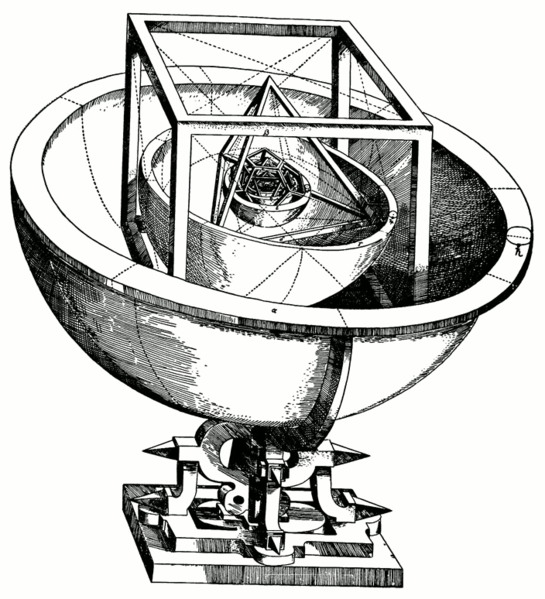 Such reasoning was essential for Kepler to abandon the idea of the planets moving in the perfect form of a circle. The concept that elements of the heavens were not perfect went against everything Kepler had come to believe. In fact, he initially rejected the right answer that he had found. Finally he calculated the form of the orbits that conformed to all Tyco’s data: it was the form of the ellipse. Kepler had found his first law, which is this: A planet moves in an ellipse, with the sun at one focus. From this he discovered his second law: A planet sweeps out equal areas in equal times. It was a few years later that his third law of planetary motion was finalised as: The square of the period of a planet is proportional to the cube of the average distance from the sun. As Kepler was working on his third law, the Thirty Years War had begun during the course of which he would lose his wife and son. The war was an exploitation of religious fanaticism by those hungry for land and power. Millions of lives were shattered and among the many scapegoats were old women, living alone. Three women were tortured and killed as witches every year in Kepler’s home town. One night his mother was kidnapped in a laundry basket. It took Kepler six years to prove her innocence. the Earth slowly rotating in the sky. Kepler imagined correctly the marks on the moon to be craters and mountains and he envisaged the people that might live there. The book was semi-autobiographical; the hero visits Tyco Brahe and has a mother who’s spells are used to transport him to the moon. Kepler knew however that one day men would build ‘celestial ships with sails adapted to the winds of heaven’ navigated by men ‘who would not fear the vastness’ of space. It is sad that the man who found harmony in the heavens found only discord on Earth. The Thirty Years War obliterated his grave. Kepler was at heart a true scientist. Although he could never really abandon his Platonic Solids, he preferred the cold, harsh truth rather than his own dearest held illusions. By looking for an answer to a question, he had come to a conclusion that either the data or his theory was wrong. By testing and checking accurate data he had found that his belief in his earlier theories were wrong and was strong enough to follow the truth to discover a greater reality. The truth stretched his imagination in a way that falsehoods can’t and in doing so he imagined planets and places and a future for the human race.